There's no question that Andujar's bat is essential to the Yanks' future, but with Manny Machado, still available via free agency and the Yanks' need for another frontline arm, the power-hitting third baseman with questionable defensive ability may be expendable. The Athletic's Ken Rosenthal reported on Monday that the New York Mets have discussed trading Noah Syndergaard to the Yankees as part of a 3-way deal involving Marlins catcher JT Realmuto. The two NY teams have not make a player-for-player trade since the Mike Stanton for Felix Heredia lefty reliever swap in 2004. Coming as it does after that Yankees-Mets-Marlins chatter might mean that Andujar could be involved in all of that and, if he is, that could make for a monster deal. 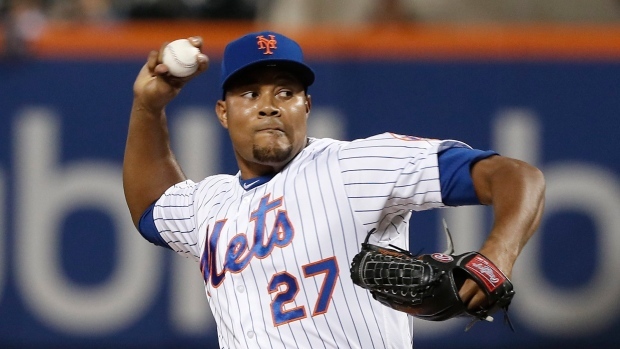 The Mets have reportedly been "pushing hard" to acquire J.T. Realmuto. The Mets and Yankees rarely make trades with one another, and if they were to do one, it'd have to be something that the Mets could claim, convincingly, that they won lest they get raked over the tabloid coals. As such, Andujar could fit into that in any number of ways.